How Should I use Cold for my Injury? Use the the right treatment for the best results. When Should I Use Cold? Cold treatment works best for treating an accute injury to treat pian and inflammation. When your body experiences an acute injury, whether it be a tear, pull, strain or sprain - edema (swelling) quickly sets in. 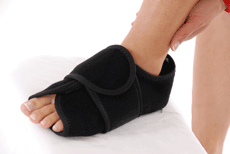 Cold therapy will help to counter the edema by slowing circulation to the applied area. This in turn helps reduce the rate which inflammation can spread throughout the initial injury and begin to reduce the swelling after more consistent usage over a few days. Cold treatment therapy works great for treating acute injuries. As soon as you injure yourself it's important to apply cold as soon as possible to the injured area. The more cold therapy you can use on the initial injury - the faster your body can begin healing. First, it's very important to recognize that pain and swelling isn't the problem, but only the sign of the problem. When your body experiences an acute injury, which is caused by a traumatic and sudden injury, it swells instantly and is very painful. Inflammation is part of our body's natural process to heal itself and to stop the internal bleeding. Pain is there to stop you from doing things that can make the injury worse. Pain is there to be your guide. The only reason we feel pain is so that we react to help protect our injury. During this stage it's very important to rest your body and apply RCCE® (Rest, Cold, Compression, Elevation) for 1 to 3 days (could be longer depending on the severity of your injury) to reduce the pain and swelling. King Brand Healthcare makes a ColdCure® wrap that is excellent for this treatment. Make sure you visit your doctor, so they can diagnose the severity of your injury. ColdCure® compression wraps are designed specifically for the treatment of pain and swelling of soft tissue injuries. They are easy to use, safe, targeted and extremely effective. ColdCureTechnology® provides control of the pain and swelling without the negative side effects of pain killers. The patient gets the relief they need to heal as quickly as possible. Our goal for our patients is to help them live without pain through the healing process. Improving on the RICE standard of injury care, ColdCure® wraps are specifically designed to operate at either refrigerator or freezer temperatures. When stored in the freezer, the cold is more intense and lasts longer, though it is not advisable to do continuous treatments. When charged in a refrigerator, ColdCure® cold packs can be used continuously, one after another without a break, for as long as you desire. This improved standard is called RCCE® (Rest, Cold, Compression, and Elevation). This is very important given the likelihood of skin damage from repeatedly using devices that require cold packs to be charged in a freezer. The over-sized cold packs in all ColdCure® wraps contain specially formulated gel with more cooling power per lb than standard wraps. 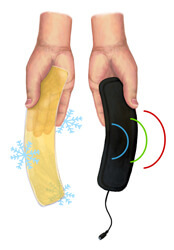 This allows for longer treatment durations without having to recharge the gel or switch cold packs. The longer treatment times and more cold power means more pain relief, better control of swelling and less handling of the injured area. These all result in a better treatment of your injuries. Each ColdCure® wrap comes with 3 large cold packs allowing for immediate re-use in clinical settings or the ability for extended treatment durations in the patient's home. ColdCure® wraps are enclosed in a soft, comfortable neoprene wrap. 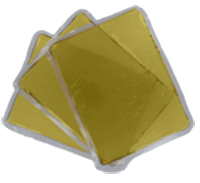 The gel packs are specifically designed for each body part. We do not use one common gel pack in all wraps - each body part is shaped very differently from any other body part and each body part deserves a custom designed pack if it's going to work the best. No other wrap in the world has specifically designed cold packs for each and every part of the body. The wrap molds the cold pack around the specific body part to ensure that there is an even distribution of cooling power over the entire injured area. Note from KB WebMaster - The text below is primarily intended to assist with Google properly classifying this page content. To learn more about our products please visit our website.<br>Cold is a misunderstood concept. Cold should be used after the injury. Cold reduces inflammation and pain. Cold can impact your injury in different ways. Cold can be used to help you with your injury. Cold affects blood flow and blood flow is important to healing. ice that is too cold can cause further damage. Don't use excessive cold.